Floral graphics often work best when they're somewhat playful. This banner uses several overlaid patterns for a light, cute take on a floral design. 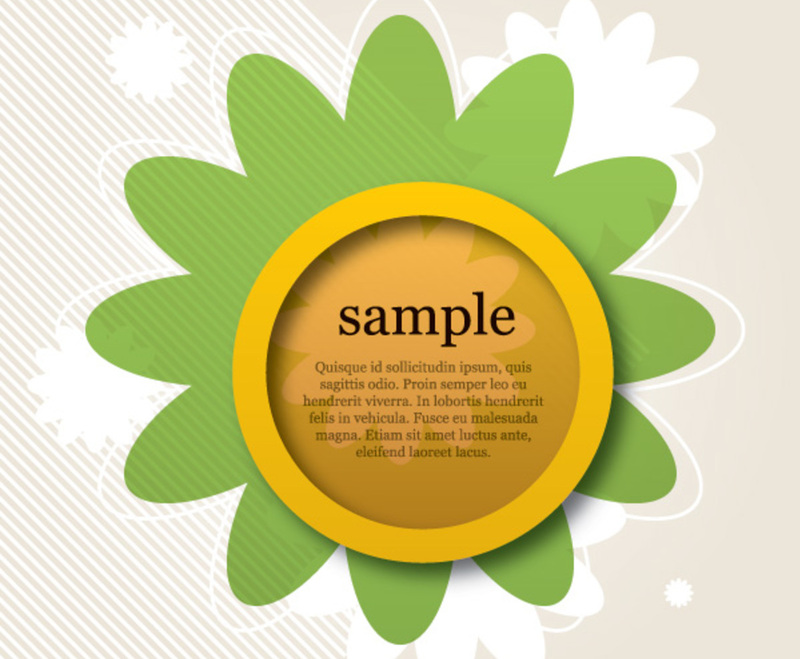 In the center of the graphic, a green flower shows off your text in its golden center. The shape of the flower is reflected behind the text field and throughout the background. Diagonal lines cross the left side of the image, adding a pleasant textured effect. This is a lighthearted banner with some excellent accents. From the calm, neutral background to the slightly offset flower center, it's a well-realized graphic and a fun way to present a message to your audience.